The impressive scale model of Hogwarts School of Witchcraft and Wizardry. 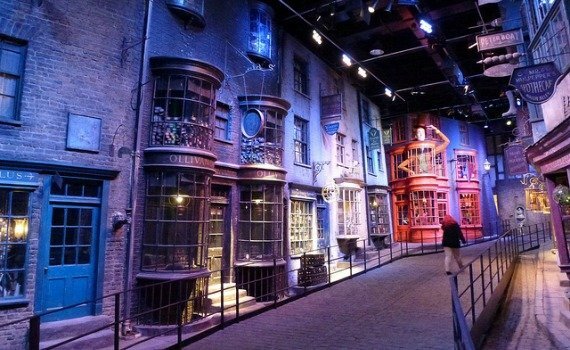 Just outside of London–I’d love to say a short train ride from platform 9 and 3/4s, but a magical bus ride at least–and you’re at the Harry Potter Studios. This is where Harry, Ron and Hermione, ahem … I mean of course Daniel, Rupert and Emma spent over 10 years of their lives filming the seven films of J.K. Rowling’s original books. The Great Hall. We visited at Christmas, hence the trees. And wow what a trip! I assumed, like most people I imagine, that these spectacular films were made through the mystical wonders of CGI but as you journey through the studios you begin to discover just how handcrafted these films really were. Most of the unusual sets, props or even the construction of Hagrid into a giant, to give you but one small example, is the result of clever construction, camera angles and some amazing, lovingly crafted props. The first part of your trip takes you to the Great Hall, home to many banquets, dances and occasional battles. 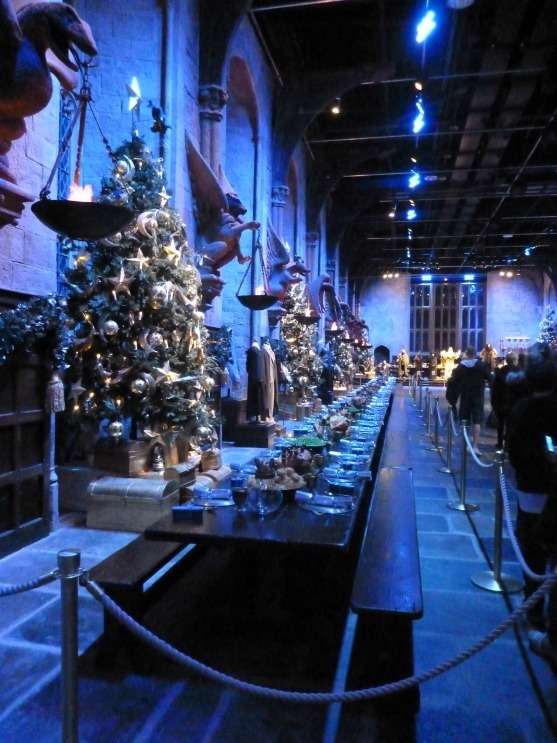 Stride over the flag-stone floor where Harry first appeared to meet the Sorting Hat and marvel at the puddings, trifles and piles of fruit all laid out for feasting. Then journey through the different set pieces. For our group, the Weasley’s house for the sheer detail and the hilarious magical knitting was a real highlight. 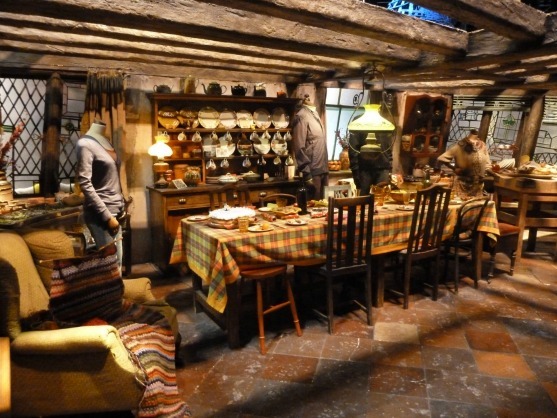 The inside of the Weasley’s home, complete with knitting that does itself. Dolores Umbridge’s fuchsia office was definitely a creepy place to be. 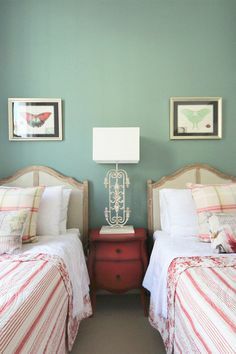 We didn’t linger here. 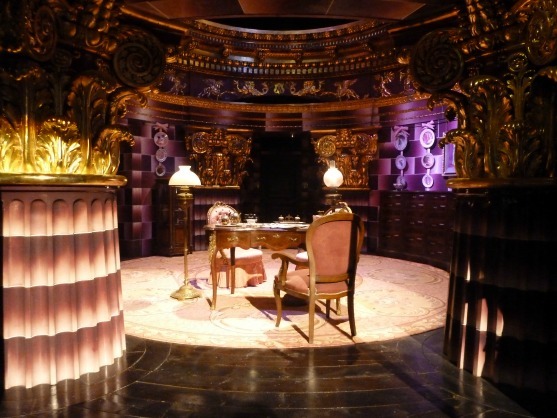 Umbridge’s Office where writing your lines is truly a painful experience. 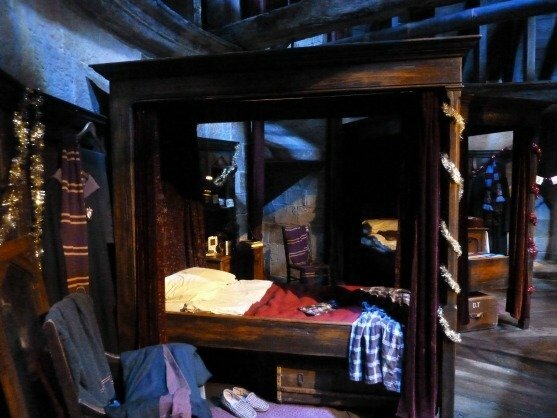 And peek your head round the corner into the Harry and Ron’s bedroom. 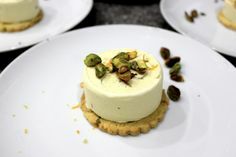 This was a real hit with all the visitors. Notice the teeny-tiny beds, where the actors were forced to squeeze into, so the shots looked right. Before you leave this section, don’t forget to have a ride on a broomstick. Provided with a cape, you can sit atop a broomstick and fly … at least on the screen ahead. Alas, no photos were allowed of this section … on the other hand, it would be a bit too embarrassing anyway. Outside the studios, you can indulge in a little Butter Beer, which was rather tasty even if it did taste remarkably like cream soda. We also knocked on the Dursley’s door on Privet Drive, stepped into the Three Storey Bus to All Destinations and posed in the bewitched Ford Anglia that Ron once drove or should I say flew into Hogwarts. 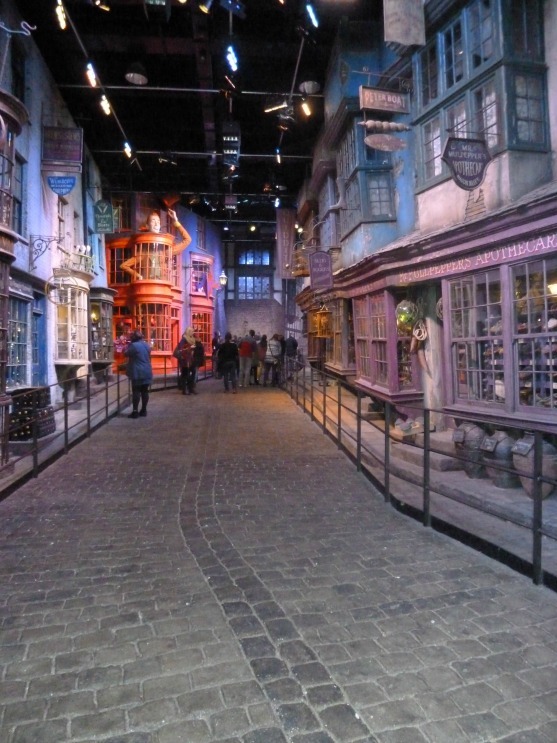 The next bit of your trip, takes you back into the studios for a wander down Diagon Alley. 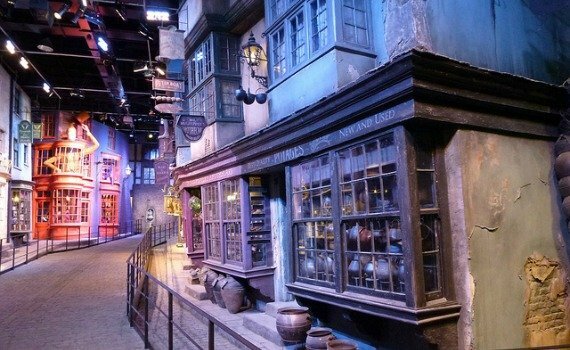 This is the street that’s home to Olliander’s wand makers, Gingot’s Bank and of course the Weasley’s joke shop complete with puking pastilles doll. Diagon Alley, the place for all your new term essentials. 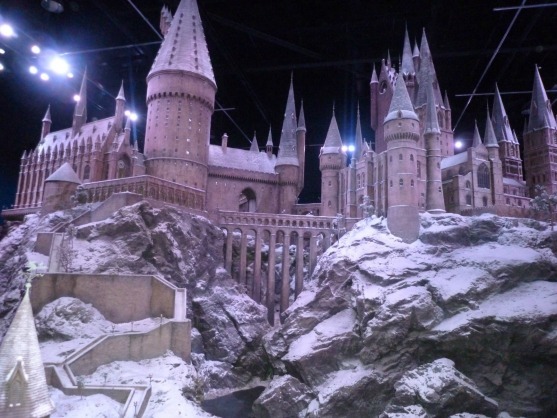 The Pièce de résistance of this little tour is the truly stunning, and there is no other word but ginormous model of Hogwarts, arranged for you to walk round and admire from every direction. Some amazing handiwork went into creating a 1/24 size model with each individual brick carved out, working lights and soaring towers. Walk down Diagon Alley where Harry Potter movie magic was created! I had thought before visiting, that seeing behind the scenes of the film might go some way towards removing the magic from the films, but how wrong I was. Instead, I left in awe of the crew behind the film, who worked so hard and over and over again developed ingenious ways to bring J.K. Rowling’s world to life. There is no other word but magic. 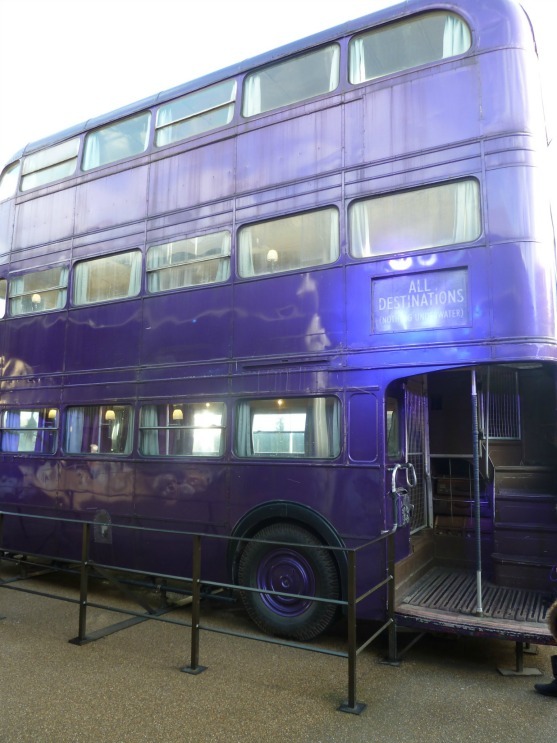 To best way to experience all the magic for yourself is on this Harry Potter Studio coach tour from London, which will transport you to and from the studio in air conditioned comfort. Megan Donnelly is a writer and former Londoner, currently residing at London-by-Sea, or Brighton as it’s otherwise known. You can read more about her travels at www.postcardstomysister.wordpress.com. 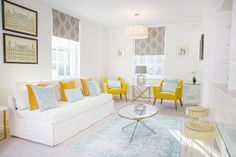 Posted on Monday, February 3rd, 2014 at 1:33 pm in London Tours. You can follow any responses to this entry through the RSS 2.0 feed. You can leave a response, or trackback from your own site. 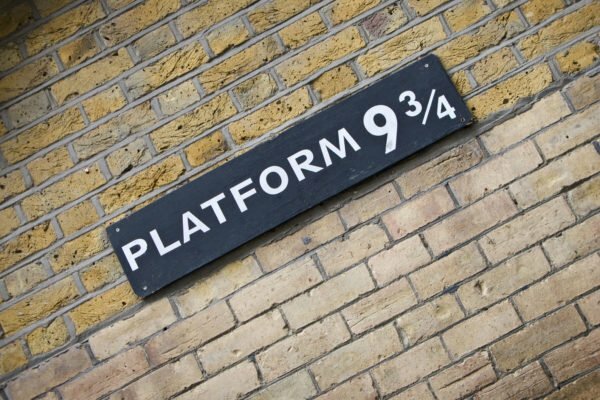 The Best Way to See the Harry Potter Studios in London Attention Harry Potter Fans: Hop Aboard the Hogwarts Express! Harry Potter: A History Of Magic A Magical Guide To Harry Potter’s London!